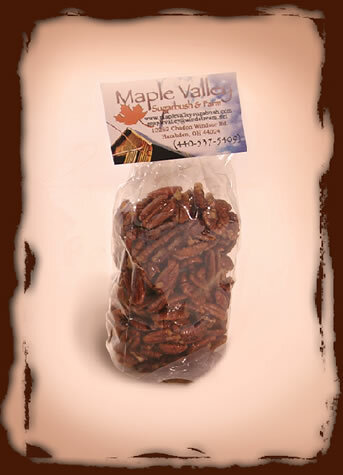 If you haven't tasted maple carmelized on pecans than you're in for a real treat! 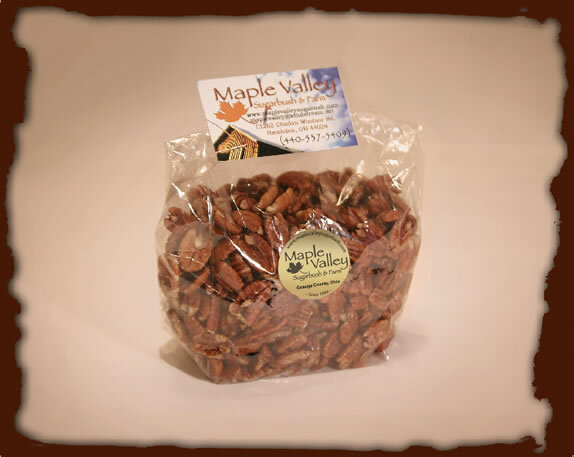 The taste experinece consists of a crisp delicate crunch then the Maple Valley sweet flavors mix gracefully with the nutty pecan. Then be prepared for a an urge to down a handful! We are setting up for other maple treats such as maple cream, maple butter, maple fudge and few more delightful and tasty surprises. If you have an interest in these items or desire something else, please let us know! We are a family enterprise so we can create custom orders. Click here for 3 unbelievable Intro Deals!